From an expert who advised the European Commission and UK government in the aftermath of Three Mile Island and Chernobyl comes a book that contains experienced engineering assessments of the options for replacing the existing, aged, fossil-fired power stations with renewable, gas-fired, or nuclear plants. From geothermal, solar, and wind to tidal and hydro generation, Nuclear Electric Power: Safety, Operation, and Control Aspects assesses the engineering of renewable sources for commercial power generation and discusses the important aspects of the design, operation, and safety of nuclear stations. 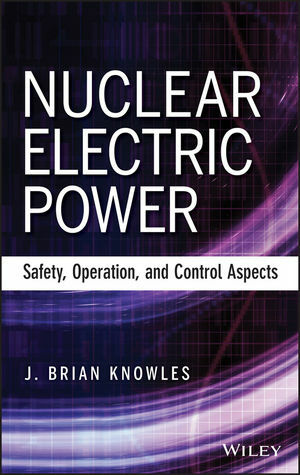 Nuclear Electric Power is an important book for all international nuclear power agencies and those who work within the field. J. Brian Knowles, PhD, DSc, now retired, remains professionally active with CEN Grenoble and KfK, where he compiled the results of European-wide MFCI experiments. In 1993, he visited the Russian Federation to discuss fast reactor collaboration as part of the European Commission's Whole Core Accident Committee and was later a member of the OECD-CSNI working group on water reactor accident management. Dr. Knowles was also a UKAEA Section Head of Thermal Dynamics at Winfrith, where he was responsible for a comprehensive modular simulation of intact plant dynamics used in AGR and proposed fast reactor designs.